Summer isn’t over yet! Squeeze in a last-minute vacation under $250 before class is in session! Save BIG on family vacations before the kids go back to school! Pack Your Bags, Not Your Books! Back-to-School Deals to Jamaica from $260 Round-Trip! Get Behind the Wheel for Less! Take 5% off a Compact Car or Midsize SUV with Thrifty Car Rental! Budget Carrier Prices, Top-Notch Service! One-Way Flights from $29 on JetBlue Airways! Exploroo for Travel Reviews, Blogs, Articles, Photos, Events and More. Free Registration. 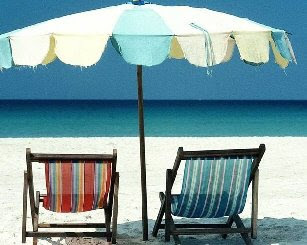 My husband and I had a great weekend down on the coast Emerald Coast of Florida (the panhandle area.) We really enjoyed our time of doing what we wanted on our “own clock.” I have to say I learned (scratch out learned) was re-taught some valuable lessons about spending. 2) There were adorable beach chairs down by the shore. They looked so appealing we decided to rent them. I quickly learned, they were not the chair made for a very pregnant lady. We had to go back to our local grocery store and buy some chairs – I could have gotten these SAME chairs at Walgreens for 1/5th of the price. Once again, tail between my legs with my aching back and belly, I bought them. LESSON: Consider needs for your trip. I was at the beach, a secluded one and was spending the day in the sun (on the sand) – what else did I expect to sit on. I should have pre-bought these chairs at Walgreens or Wal-Mart back in town. 3) I was so happy because there was a restaurant I really wanted to visit. 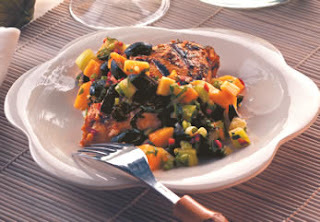 It has Floribbean food (Florida food with a flare of the Caribbean). I was thrilled to find a b1g1 ½ coupon. I proudly carried my coupon to the restaurant during dinner time(for peats sake, I AM the Frugal Mom). It was after I ordered that I read the coupon and saw it was good for lunch. LESSON: Read your coupons fine print – haven’t I learned this one already? 4) So with all my journeys to the local grocery store I realized that a pregnant girl likes to snack. I bought a six pack of water or $2 and a package of cookies for $4. So I was only $6 in the hole but I would have loved to also by a bag of chips, some gummy worms, perhaps a few candy bars, etc. What can I say, the beach makes you hungry? LESSON: With $6 (at home) I could have gotten all those things. Instead I got the needs – water and chocolate and waved goodbye to the rest. Bring groceries from home. Had a I planned better, the past 2 -3 weeks of grocery shopping would have included me sneaking VERY CHEAP, on sale items into the cart for the snacks I would desire this weekend. 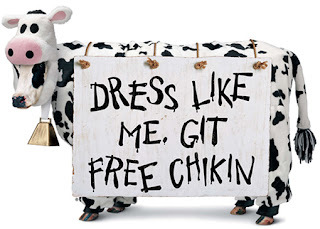 5) Don’t go out of town during Chick-fil-A’s Cow Appreciation Day (or FREE Slurpee Day) – especially when they only thing you have been craving is Chick-fil-A for the past 7 months. LESSON: It is not that that big a deal, Ashley. Are you traveling soon? If so, make sure you plan ahead. 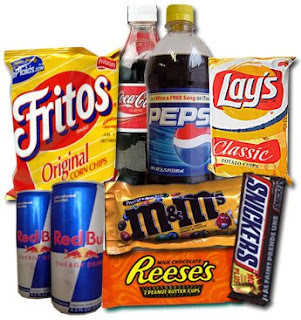 Think about medicines, snacks, and basic every day needs. I would definitely research restaurants in the area on the internet. You might even be able to find a gift certificate to a restaurant on restaurant.com – just make sure you read the fine print! Next weekend my husband and I are headed to a local Bed and Breakfast for our 5th anniversary! We did not want to go too far (a 31 weeks pregnant lady must stay close to home) and I could not be more excited. In honor of this special occasion, I though I would share with you a Bed and Breakfast special for maybe your own special getaway. -Book online for two or more nights at any B&B featuring the green Book It button. -Enter the code BBSIZZLE100 into the “Reward Code” box. *This promo ends on July 22nd, so don’t let your site visitors miss out. I have received a number of email about summer vacations and a need for cheap hotels, car rentals, and plane fares. While traveling cheap is not my area of expertise, I do have a few links to websites I used to find discounted hotels, car rentals, and plane fares. I hope this helps a bit. These are always nice, especially if you are not a member of AAA.